Check out the top 10 Jekyll themes we have tried, tested and handpicked for you. Jekyll community has grown at a rapid pace making Jekyll as the top static site generator in the world! A few perks of that is new themes. Ranking Jekyll themes is hard because every theme is different and is made for different purposes. We have listed a few of the popular themes that you might like. Casper used to be the default theme on Ghost publishing platform. It has been ported to Jekyll as Kasper. A very simple layout is what makes Kasper stand out. The typography is perfect for a distraction-free reading. The theme looks so minimal because, except for content, everything else is kind of muted. Kasper’s minimal design makes it one of the best themes for someone who’s looking for a simple Jekyll theme for their blog. 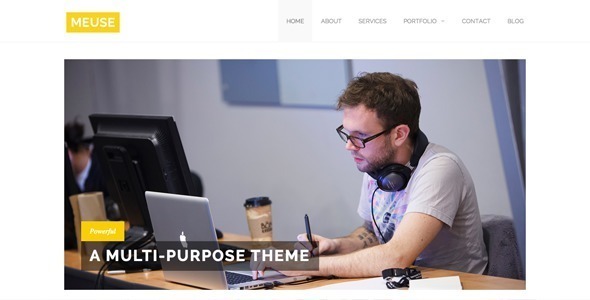 Freelancer is one of the best themes for someone looking for a simple portfolio website. The color scheme is pleasing to the eyes. Customizing this Jekyll theme is easy for someone who has a little knowledge about Bootstrap. All the sections in the theme are segregated and put inside the _includes folder. Meuse is a multipurpose Jekyll theme suitable for portfolio, business or company websites. It is developed using foundation CSS framework. Meuse also has dedicated pages for services, portfolio and bog. Minimal Mistakes is a theme suitable for a personal site, blog or a portfolio website. The theme stands out for its typography even though it uses only system fonts. The theme is a complete package of features. From Table of contents to search, buttons to code blocks, everything is included in the theme. Steve is a Jekyll theme suitable for blogs or portfolio websites. It uses a pleasing color scheme and typography. Steve boasts a green top bar, sidebar(author details), search bar at the top, and elements with card style. Single Paged is one of oldest Jekyll themes. It uses bright colors and smooth-scroll on-clock navigation. The sections are actually different posts which can be edited as per requirement. Background color for each section can be changed just by changing the color code in the YAML front matter of the posts. This jekyll template is suitable for a one page website. 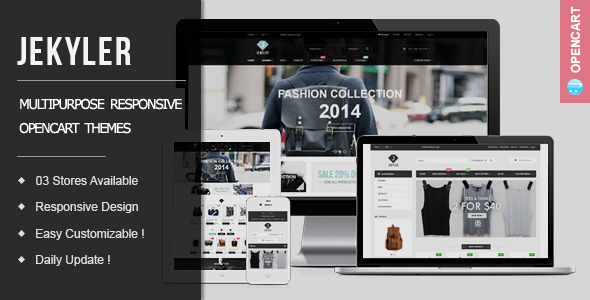 Jekyler is a e-commerce theme. The theme offers 3 layouts. The theme features a nice user interface and user interactions. The theme is suitable for online shops. Jasper 2 is the current default theme in Ghost. It is nice that someone decided to port it to Jekyll. This theme stands out because of its cards layout and typography. The theme is suitable for personal blog or magazines. If you are looking for a minimal documentation Jekyll theme then this is the best one you can find. Unique use of subtle color combination makes the site look like a paper document. Lanyon is probably the most loved Jekyll theme that is ever built. It is built by the developer of Bootstrap himself. It has a nice sidebar that slides in and out on click. The typography is just perfect for a blog. The sidebar adds so much more to the Poole theme that people very often end up using Lanyon.